• Volunteering makes you feel needed. • Volunteering can lead to learning new skills. • Volunteering helps you meet new people and creates new understanding of diversity. Can volunteering Make a Difference? • More than 100 million American adults volunteer annually — that's 56% of all adults. • 59% of teenagers volunteer an average of 3.5 hours per week — that's 13.3 million volunteers totaling 2.4 billion hours at a total value of $7.7 billion. Click on this link http://sunsounds.org/volunteer-information and fill out an application. You will be contacted by your local affiliate with more information on how to start your volunteer journey. Tempe affiliate volunteers will be contacted with information on the date of our next Volunteer Orientation, which takes place at Rio Salado College. At the orientation you will learn about the various volunteer opportunities at Sun Sounds as well as the Division of Public Service. This is the time when you can sign up to schedule a reading test if you choose. Once you take the reading test you will be notified as to how well you did. If you passed we will set up training and a reading schedule for you. Flagstaff, Tucson and Yuma affiliate volunteers will be contacted by the Station Manager or Volunteer Coordinator from their closest affiliate. 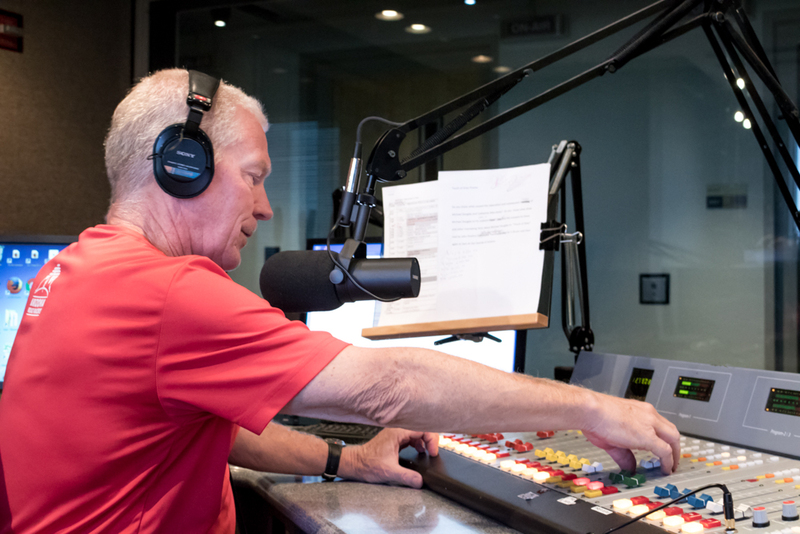 While volunteering for Sun Sounds of Arizona didn’t make Dave Letterman’s Top 10 list of things to do in retirement… it made The Arizona Republic’s Top 60 Things to Tackle in Your 60s. You don’t have to wait until your 60s to volunteer. If you have a skill and passion for reading or you just want to get involved in helping a worthy community service continue its mission… while you have some fun… then fill out the online application today. Your local Sun Sounds of Arizona affiliate.